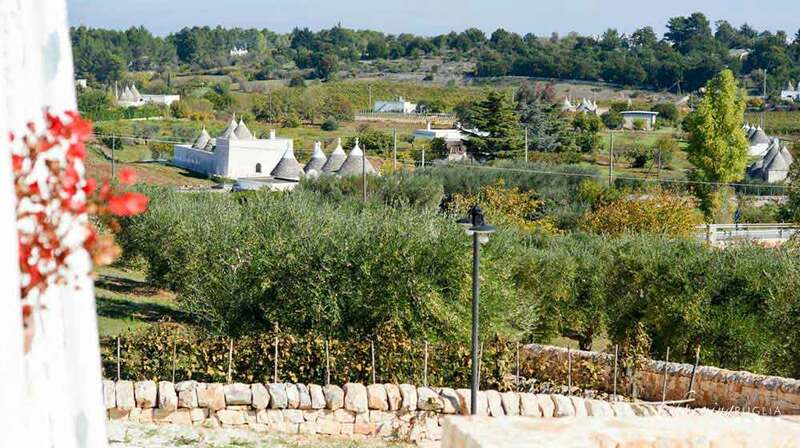 The green countryside of Martina Franca in the renowned Valle d'Itria is home to "Trullo il Fragno", a quaint structure surrounded by centuries-old olive trees. 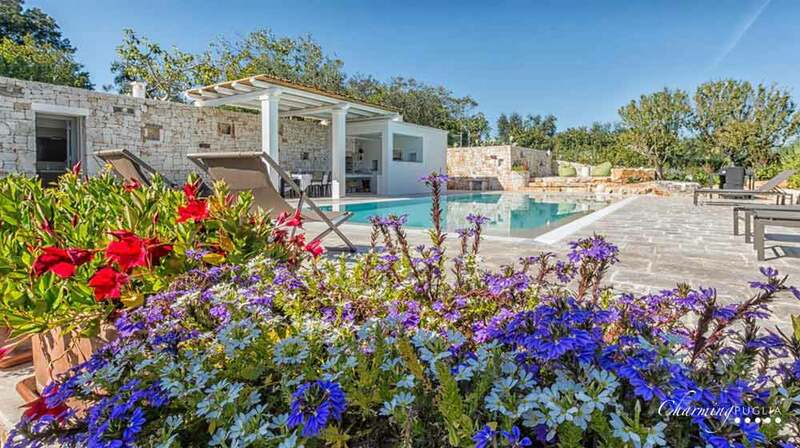 Its breathtaking landscape is the ideal setting for a wonderful holiday of relaxation and fine living. 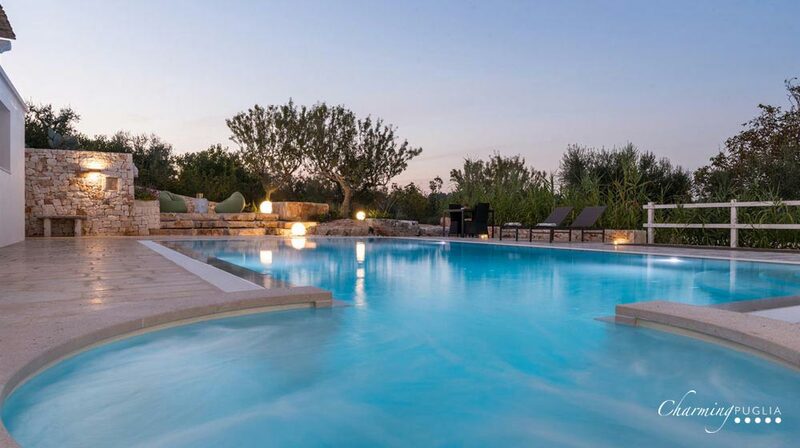 There is a large outdoor area with a beautiful swimming pool and a spotless patio with sun loungers, as well as a comfortable veranda perfect for relaxing and finding shelter during the hottest hours. 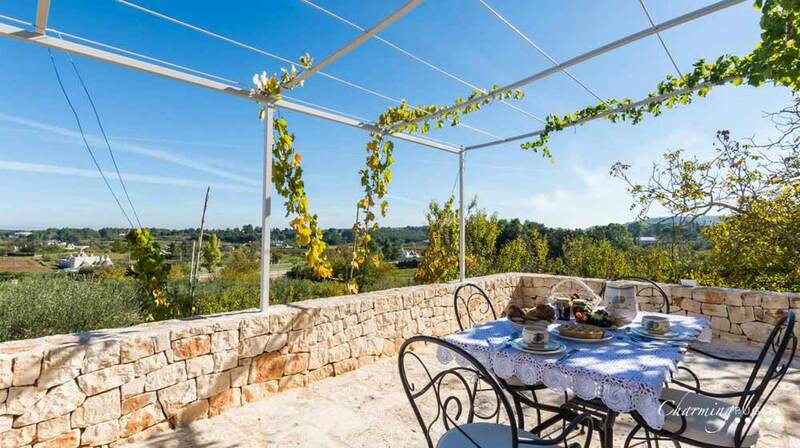 Sitting around the table on the veranda, you can enjoy a breathtaking view directly onto the valley. 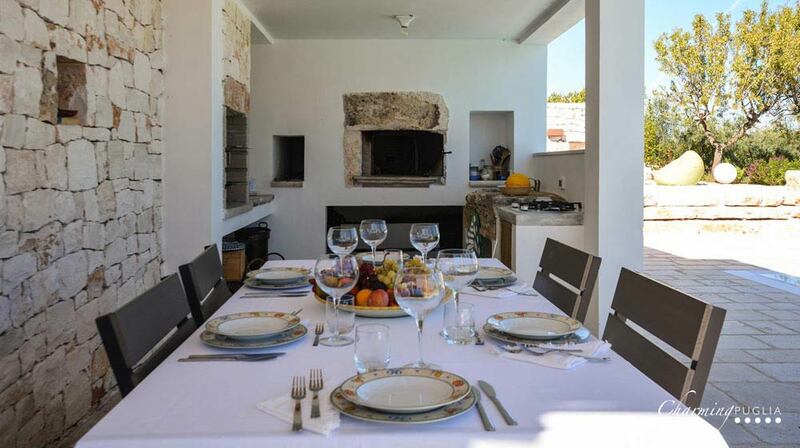 The setting is perfect for having breakfast, or enjoying a delicious barbecue prepared in the outdoor grill. 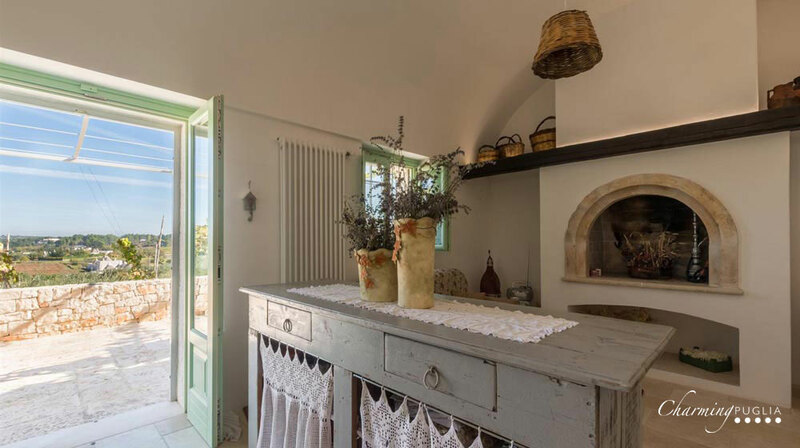 The living areas are furnished with great attention to detail; the kitchen is decorated in country style, and there is one dining room and two relaxation areas, one with a fireplace and one with a sofa and a TV. 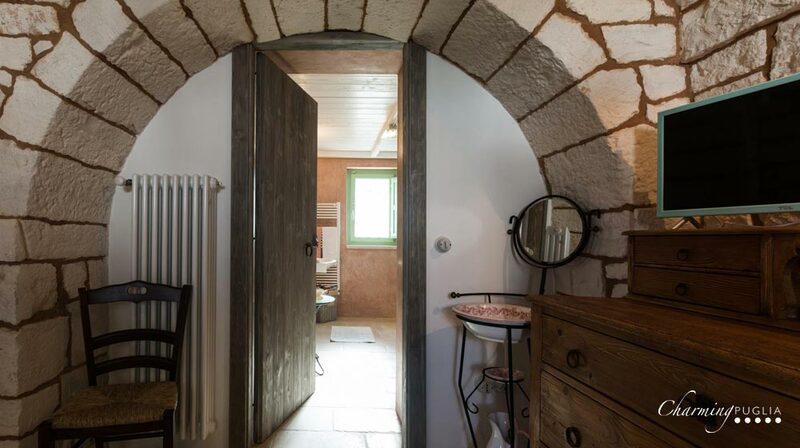 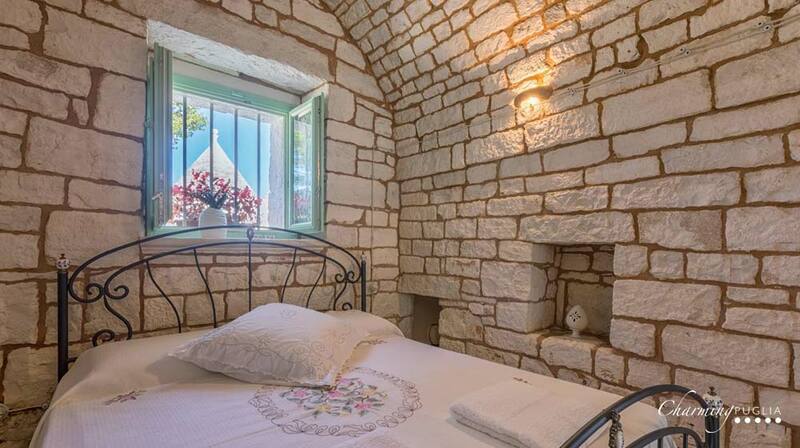 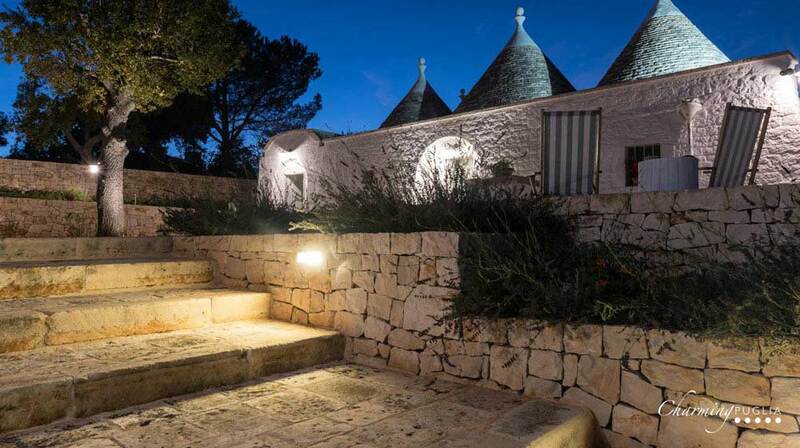 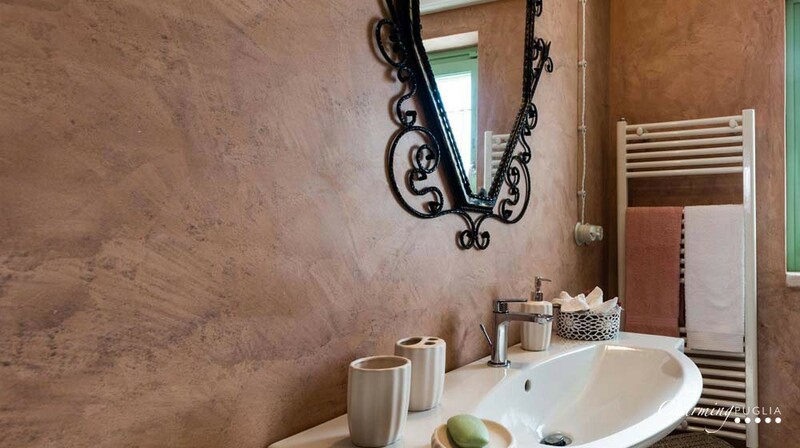 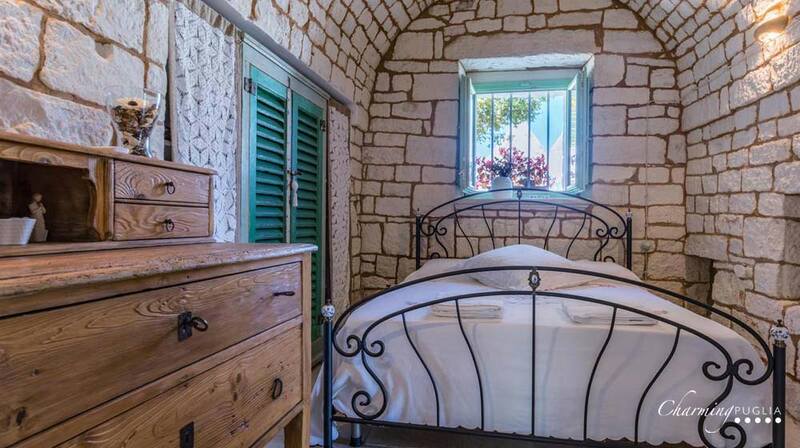 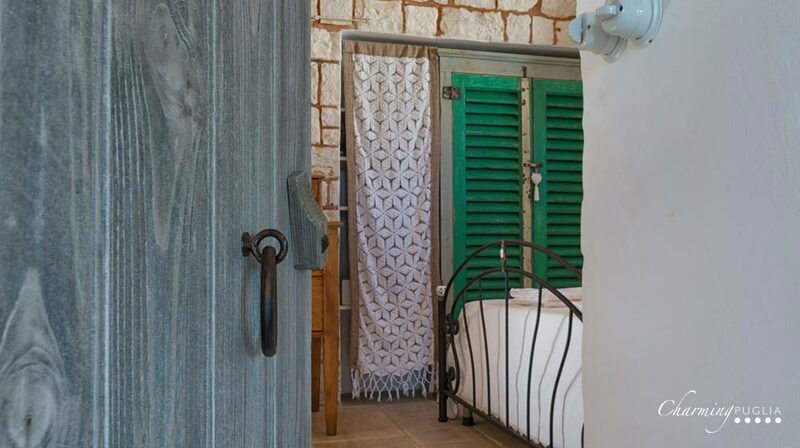 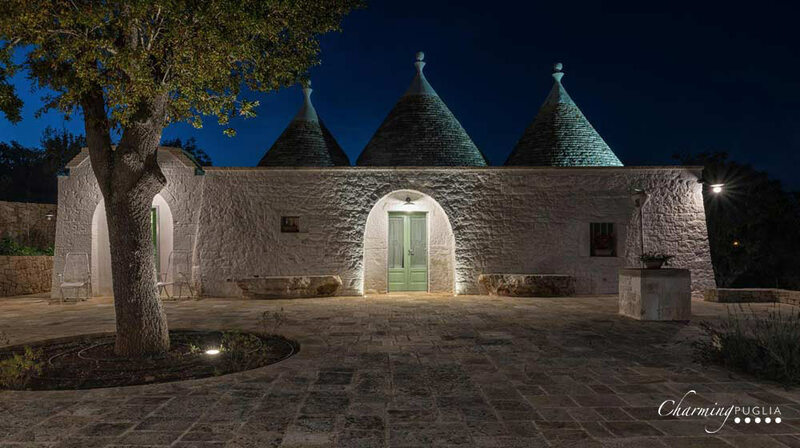 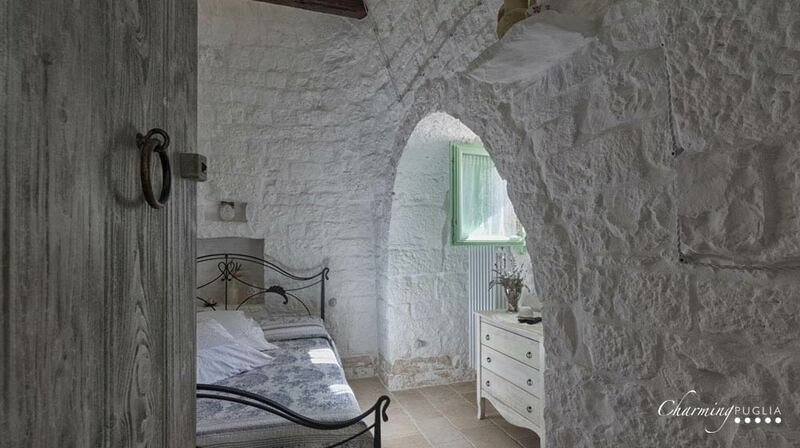 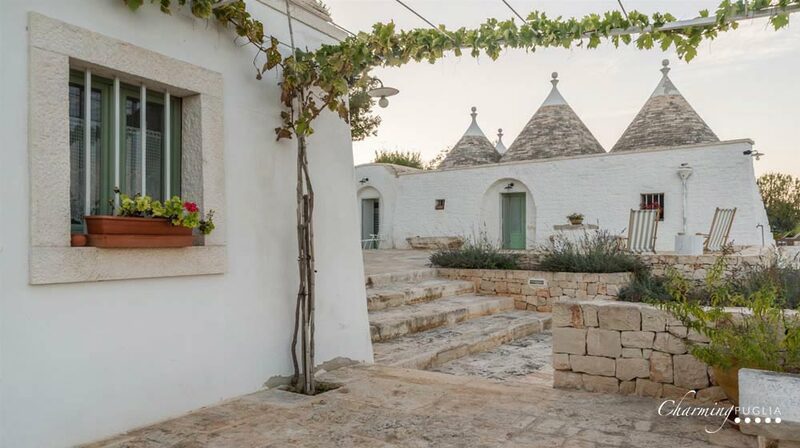 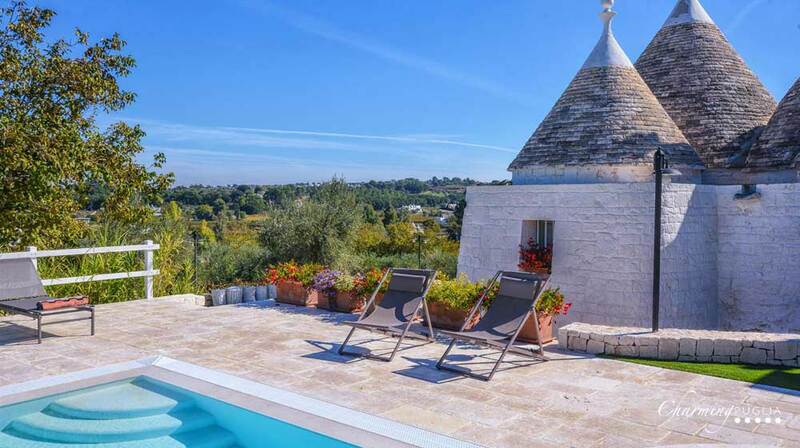 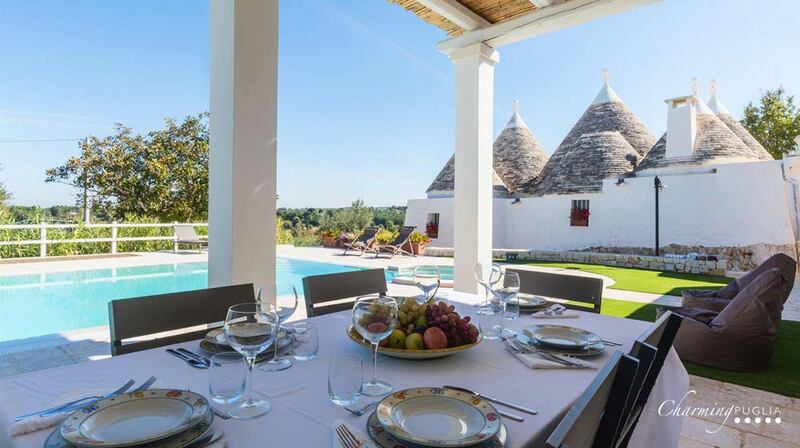 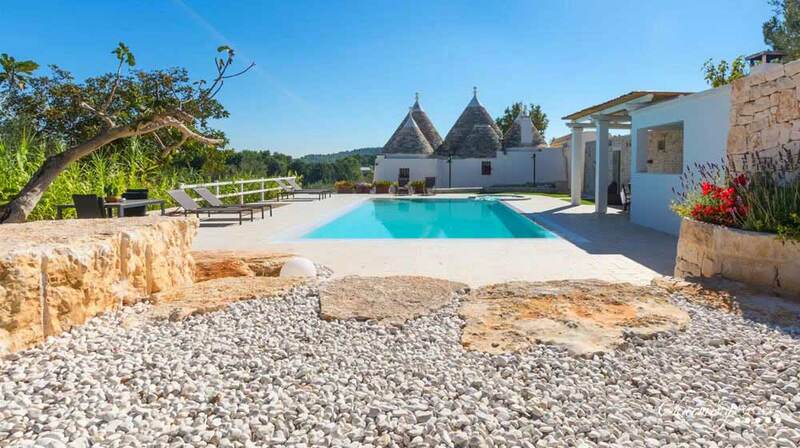 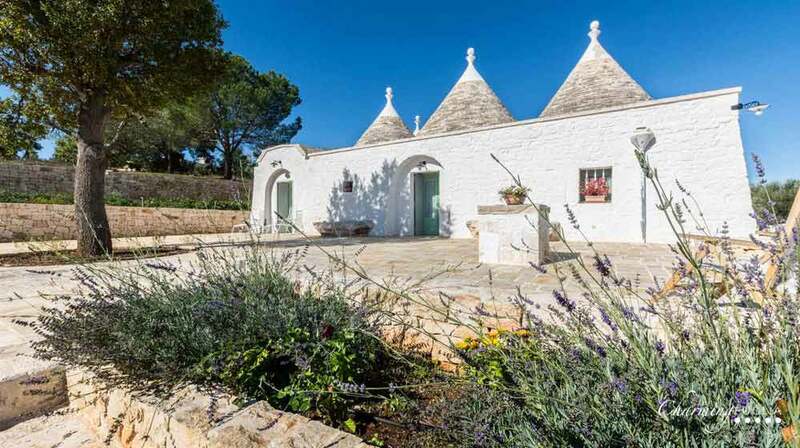 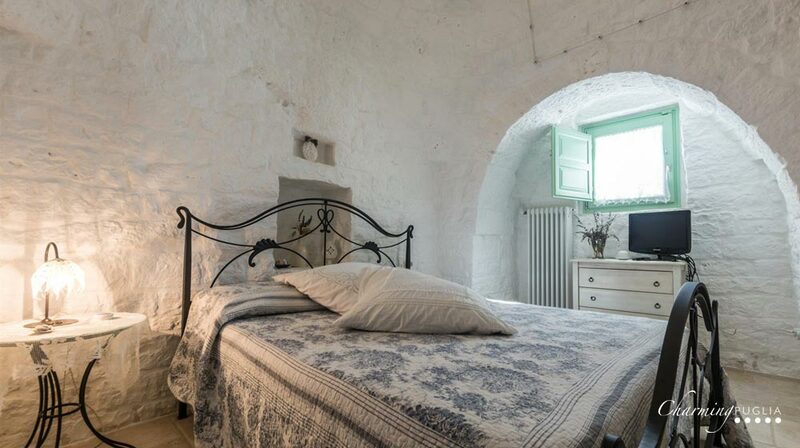 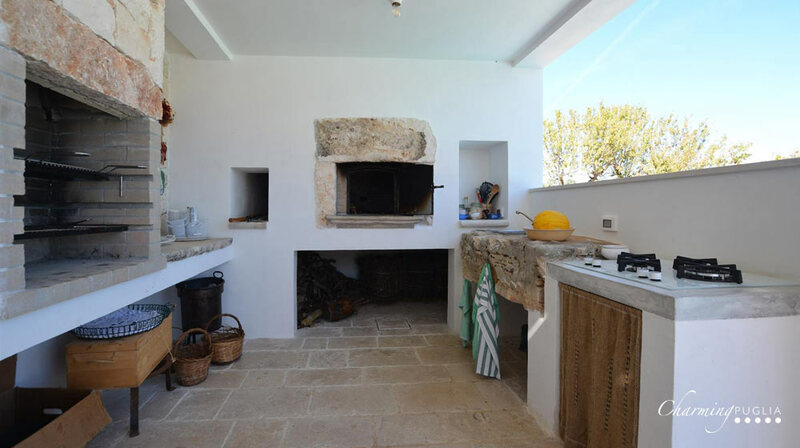 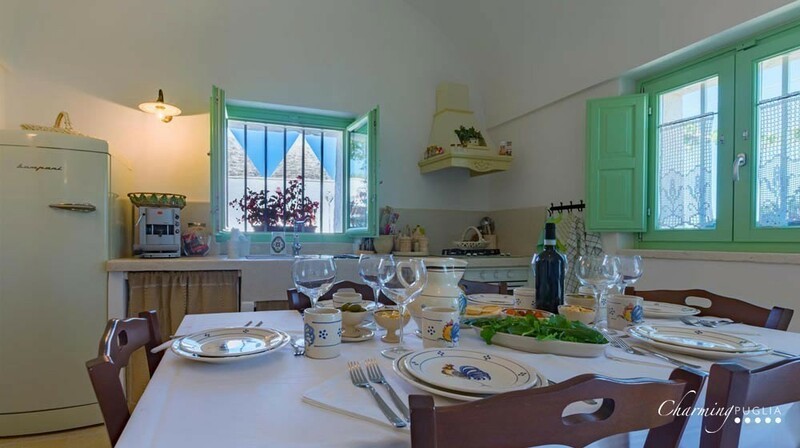 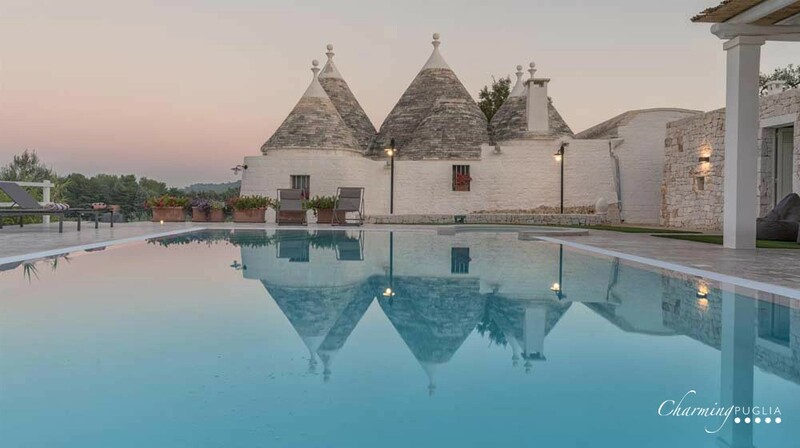 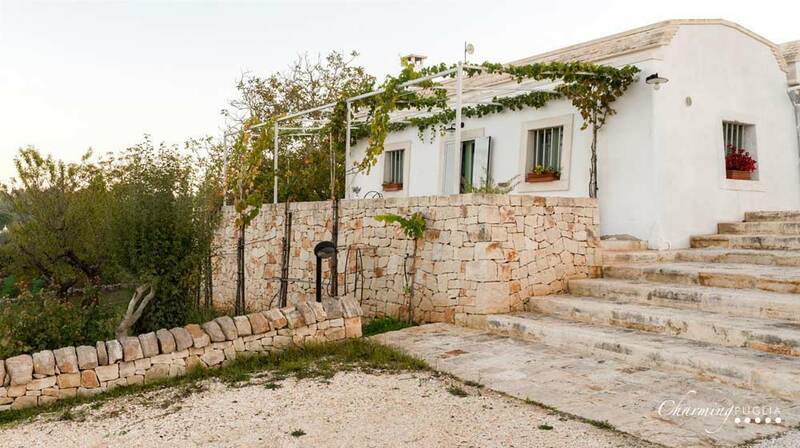 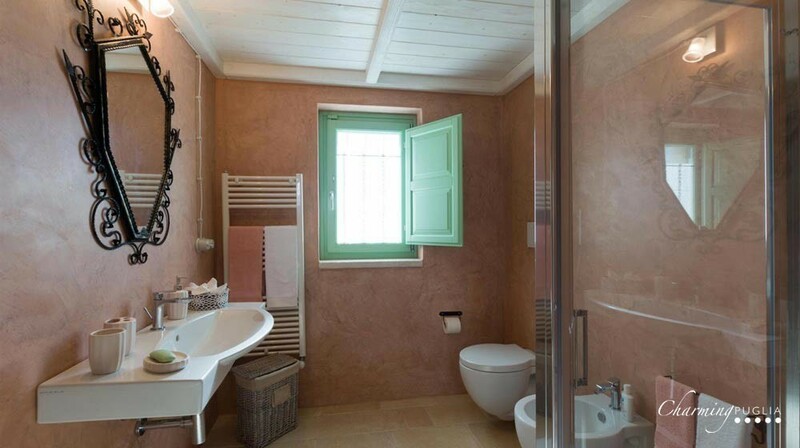 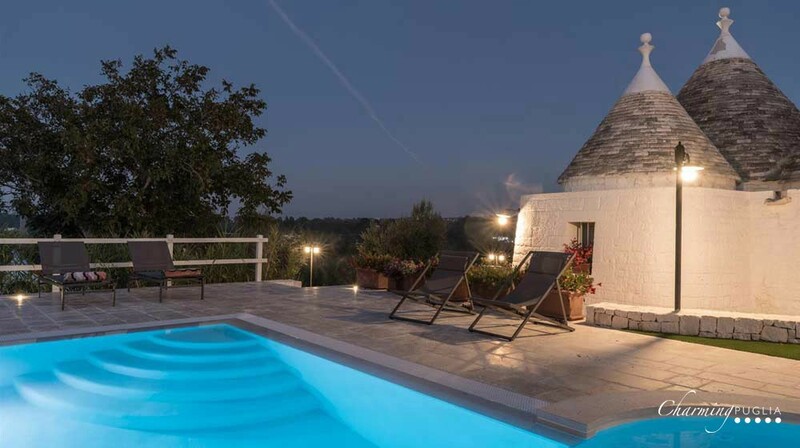 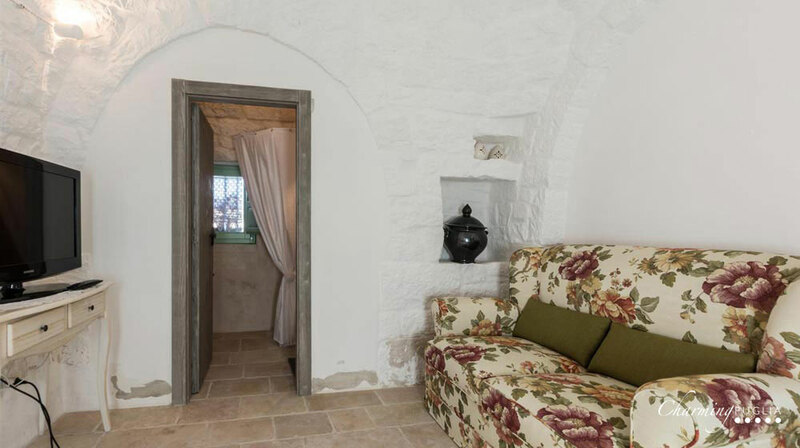 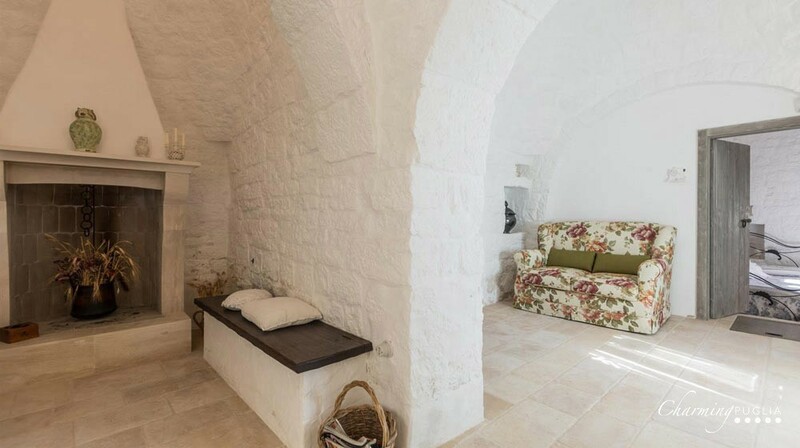 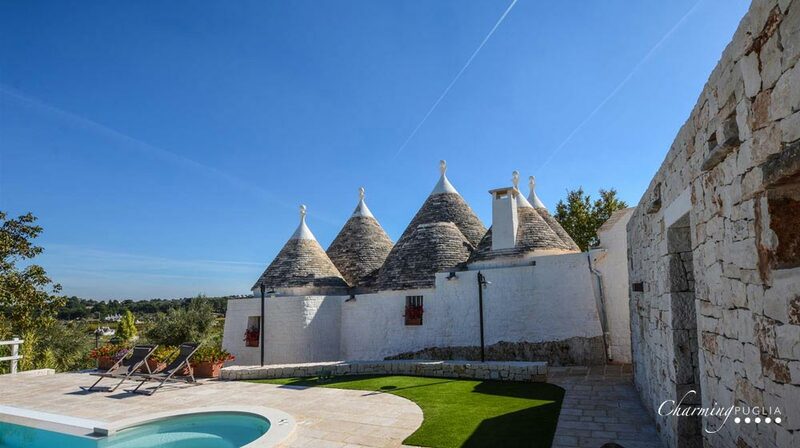 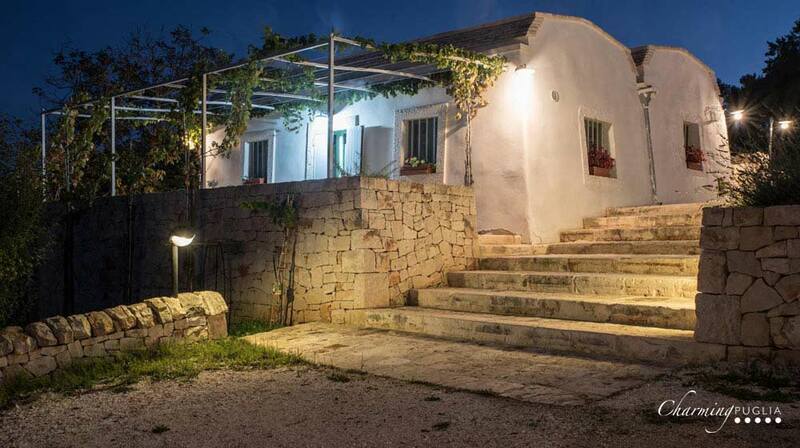 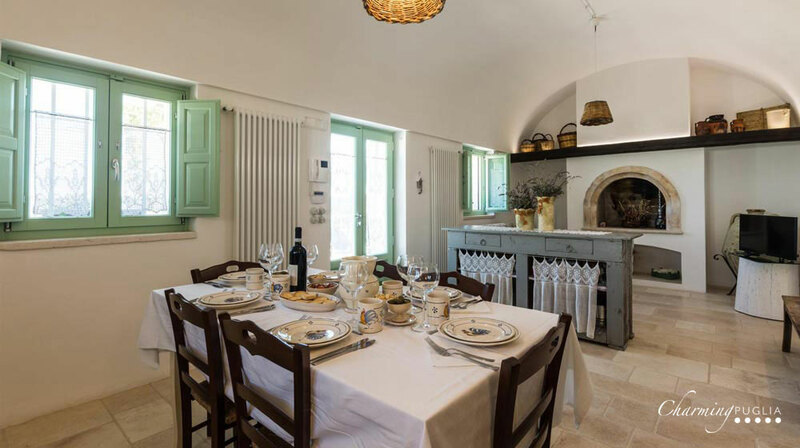 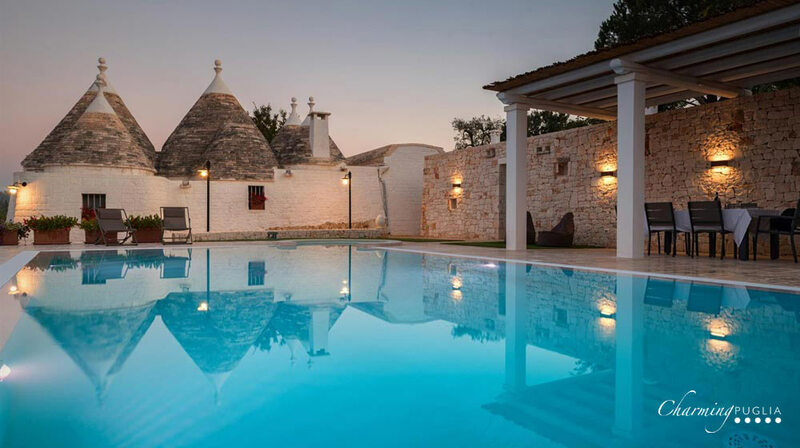 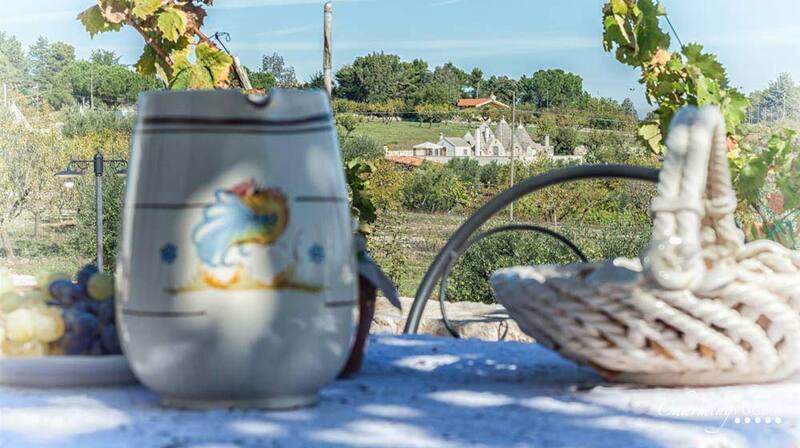 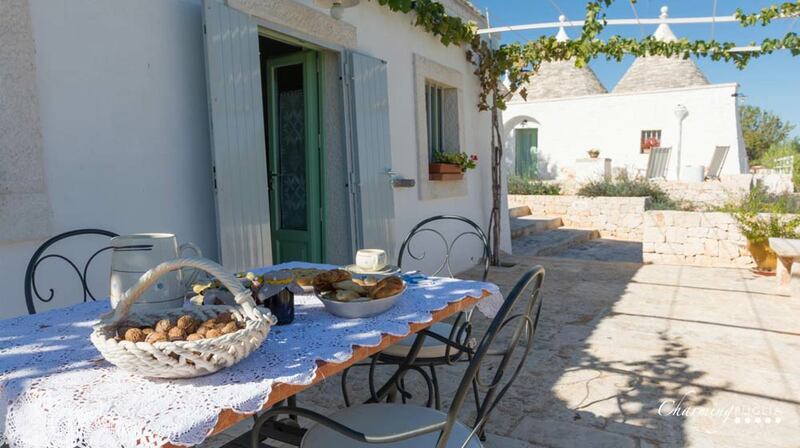 Trullo Il Fragno has 3 double bedrooms with stone vaults and views of the countryside. 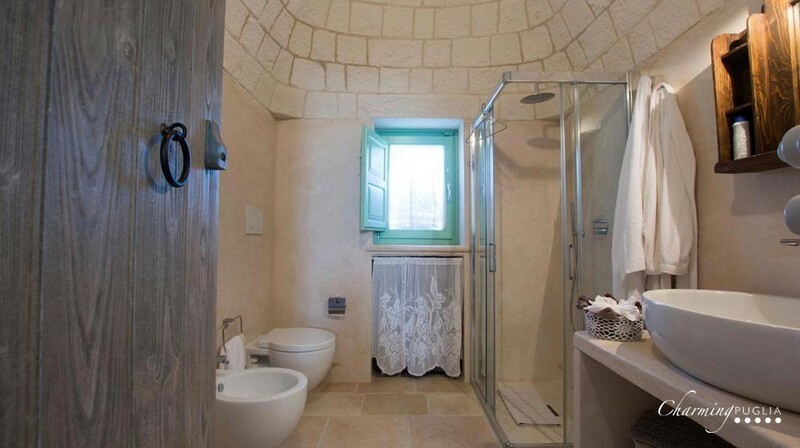 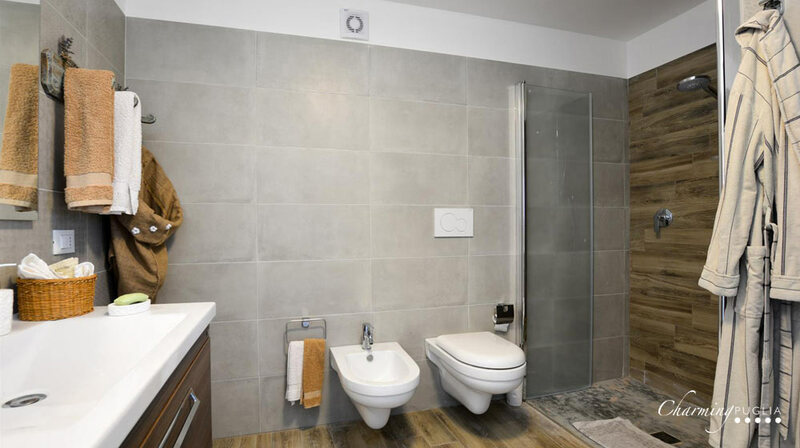 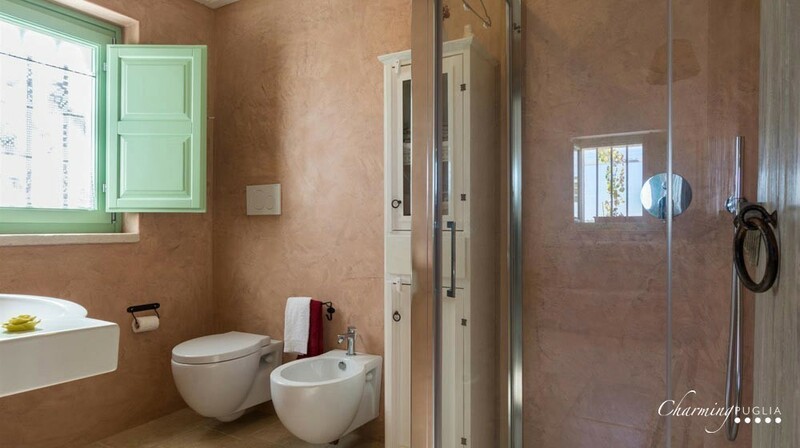 In addition to the bathrooms in the bedrooms, there are 2 other washrooms (one outside), all equipped with a shower, a sink, a bidet and a toilet.